Here are six of the best infographics we’ve seen this week. This time the topics include measuring Facebook and Twitter ROI, the mobile industry in numbers, the state of the blogging world and how marketers are measuring content. How are brands using audience involvement to increase reach and engagement? Audience involvement is the process and act of actively involving your target audience in your communication mix, in order to increase their engagement with your message as well as advocacy to your brand. This trend in social media marketing is also partially responsible for a new understanding of the power of social, from being an afterthought in the broader communications mix, to a crucial element in prime-time television spots. There are three different ways in which brands can involve their audiences…. eBay turns to Pinterest for redesign inspiration: will it work? Pinterest is one of Silicon Valley’s hottest startups, and while companies like Facebook struggle to prove that they can monetize social media, many see reason to believe that the image-based social network is poised to deliver on the promise of social commerce. Will Obama beat Romney in the US election or only in social media? 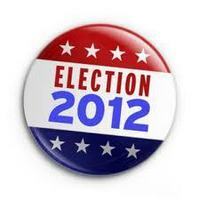 In less than 36 hours we’ll know the outcome of the one of the most talked about events of the year: the US elections. 2008 was marked as the first election that used social media with Obama far outpacing Senator McCain. Now the mudslinging has hit every social platform and not only are we hearing the candidates point of view but news outlets, bloggers and anyone with a Twitter, Facebook or YouTube account are taking to the internet to say who should be the next president. Global social advertising platform, Ebuzzing, is one of the many companies analyzing social media to predict the outcome of the election. They have pulled together over 925,000 tweets, 159,000 forum posts, 75,000 articles and 6,600 blog posts. According to the team at Ebuzzing, this amount of conversation equates to a media value of over $16 million.